This easy, family friendly vegetarian Dahl recipe makes the perfect one pan midweek dinner. 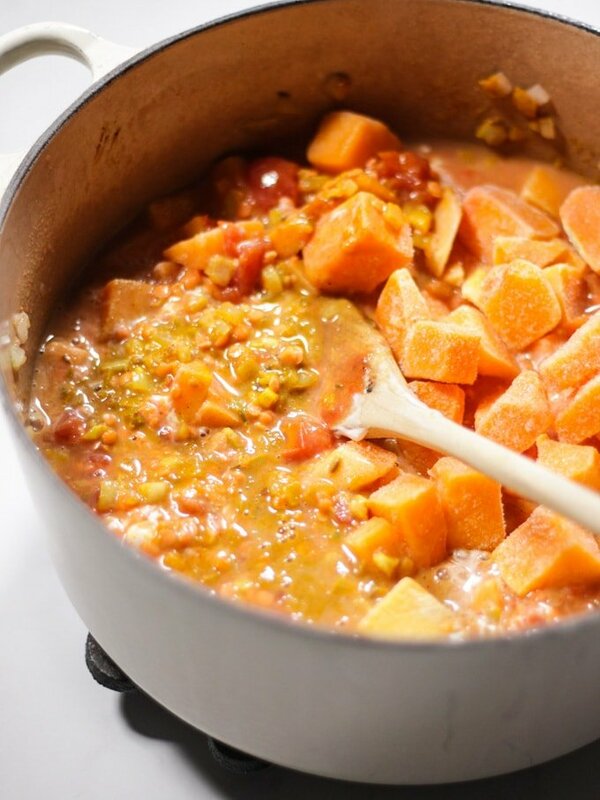 With red lentils, spinach and butternut squash it’s delicious creamy texture makes it so comforting. It is a low cost dish, and can be batch cooked and frozen. 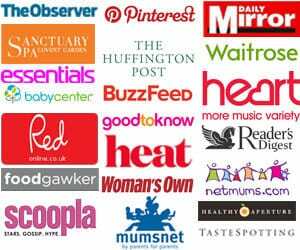 I asked on Instagram this week, what type of recipes you’d like to see more of here, what you wish you could cook but didn’t quite ever seem to manage. How I could help make your foodie dreams come true. HEAPS of you said vegetarian recipes.. SOOOO I thought I’d choose the most unappealing looking veggie dish I could find for my first one, OKAY? Oh. Am I failing at the first?! Hang in their friends. Give me a second. It’s a store cupboard standby. 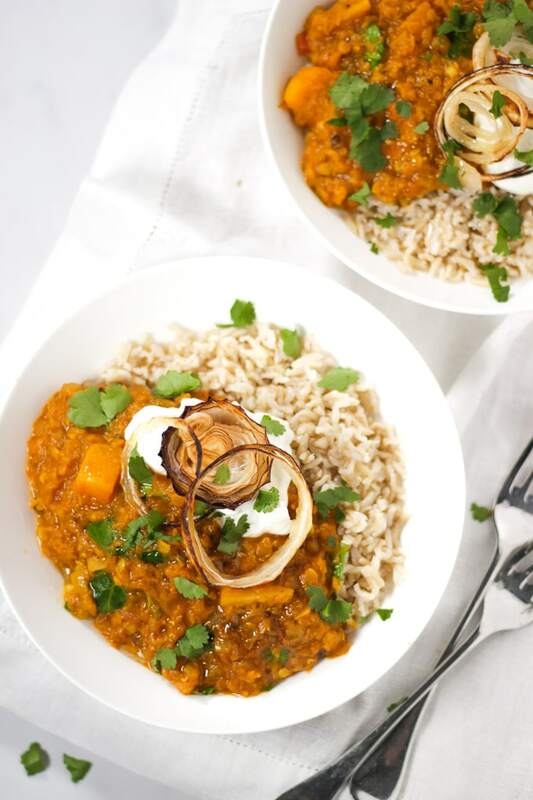 Honestly, that would be enough to tickle my pickles and make it’s way onto our meal plan, but added advantage, this Red Lentil Dahl recipe happens to be totally delicious. It’s spicy, creamy and surprisingly child friendly, as mine seem to like the easy to scoop and eat texture. I used to make this when I first moved into my own home and could not BELIEVE that you had to pay for things like running water?! Who knew. I needed to make some savings and this simple Dahl recipe was a money saver then and still is now. I hope you can see past this Dahl‘s unglamorous looks and give it a try. Let me know what you think please! 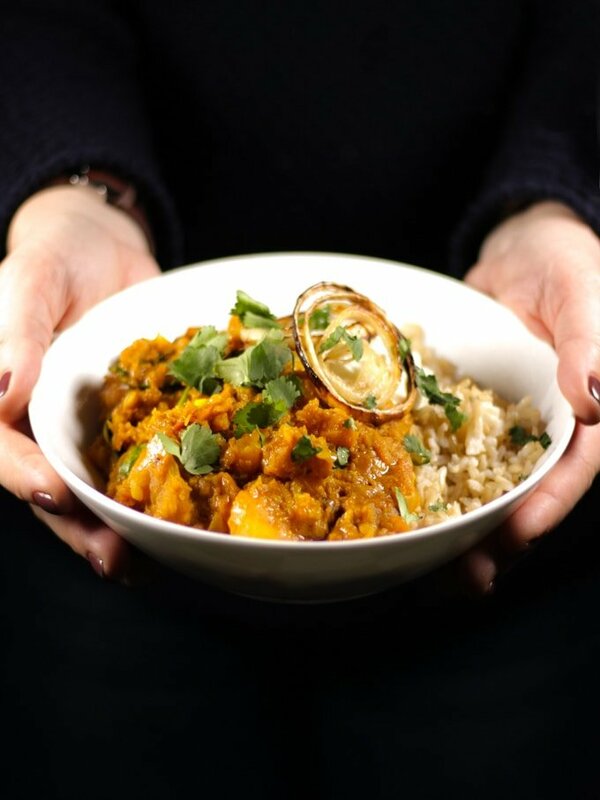 How do you make a red lentil dahl? This takes all of the pain (and tears) out of the preparation time, and means I’ve always got a supply of these key ingredients in the house. If you prefer or only have fresh, simply finely chop your onions, garlic and ginger. Peel and chop your butternut squash into chunks (there is a whole section on preparing butternut squash in my Butternut Squash Curry recipe). Next, heat the oil in a heavy bottomed pan, add in your onions, garlic, ginger, ground cumin and curry powder. Cook on a medium heat until the onions have softened and you can smell the spices. Now add; red lentils, coconut milk, chopped tomatoes, butternut squash, vegetable stock and salt. Stir well, cover and cook over a medium heat for about 30 minutes. It may need 5 – 10 minutes longer, depending on the consistency you’d like and if you’re using fresh or frozen butternut squash. Add in some fresh or frozen spinach just before you are ready to serve. I like to pop some onions slices in the oven to bake at the same time. I serve them on top for some added texture, taste and another portion of vegetables. You don’t need to do this (and my children never eat them) but I think fried onions are traditionally served with Dahl? (Please tell me if you know the answer!) I can’t seem to find any info on this, but often recipes include them. I just bake the onions with a spray of oil as it’s less high maintenance than watching a frying pan and also a healthier as needs less oil. Rice – TIME SAVING TIP: I often use microwaveable rice packs for when we need a small amount of rice. Naan Breads – or my homemade Easy Flatbreads these are perfect for mopping up the sauce. The roasted onion slices mentioned above. Poppadoms – The crunch with the creamy Dahl is THE BEST. Plus my children will eat anything when served with poppadoms. I also dolloped some natural yoghurt on top and sprinkled with fresh coriander and chillies, but this isn’t mandatory. Freezer tubs – if you’re making a bigger batch, perfect for freezing portions in. My favourite ‘spoon-atula’ – I use this every single day (I have a few of them). Perfect for scraping sauces from pans and getting the last bits out of bowls. Oh and LOOK AT THE COLOURS! The pan in this photo is one of the most expensive kitchen items I own, but it’s been used every day for 10 years and I still love it as much as I did when I unboxed it for the first time! 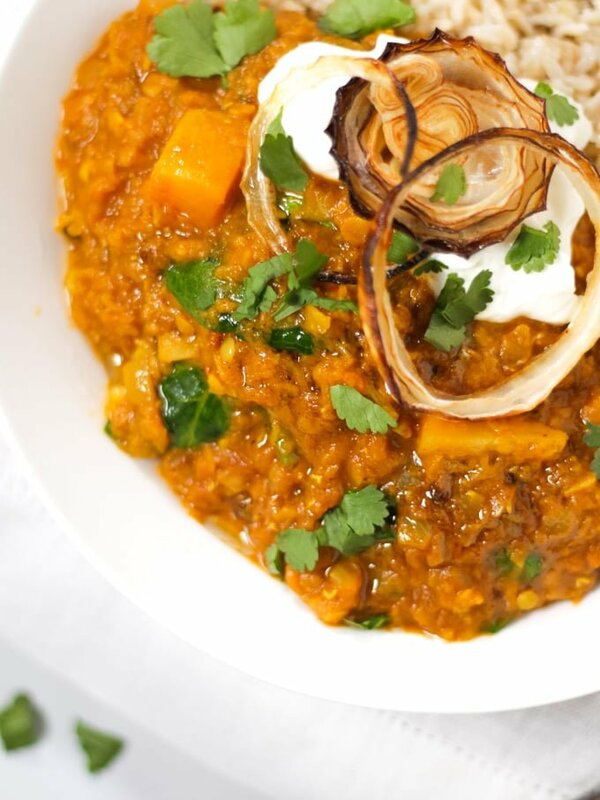 This dahl recipe is suitable for gluten free, vegetarian and vegan diets. 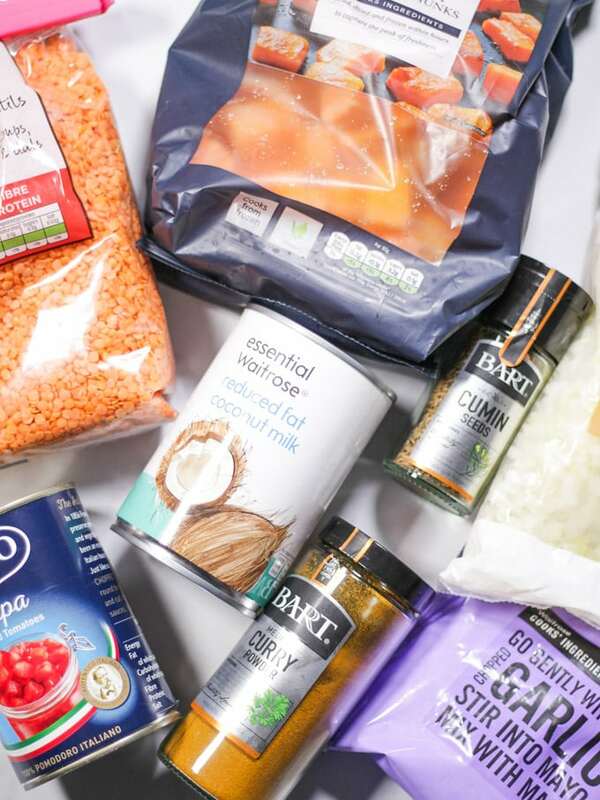 You can also make a dahl in a slow cooker (or Crock Pot) simply add all of your ingredients to your slow cooker, cover with the lid and cook on HIGH for four hours or LOW for six. Add your spinach just before the end, so it only just wilts. If you are serving this dahl for very small children you may wish to find a low salt stock, or just add the same quantity of water in place of stock. 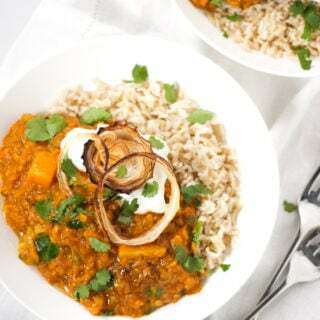 A dahl is a perfect make ahead meal if you are meal planning – once cooked cool the dahl before refrigerating, it will keep fresh in air tight containers for 3-5 days, and even better will freeze cooked for 6 months. I hope you enjoy this recipe as much as we do. 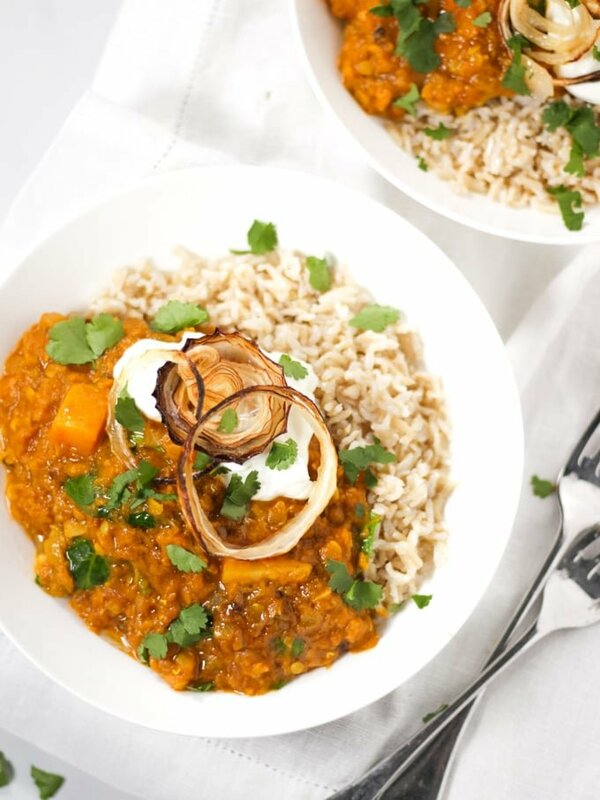 I’d love to know how you got on and what you thought of it if you make this Dahl recipe. Please rate the recipe and leave me a comment below if you do. 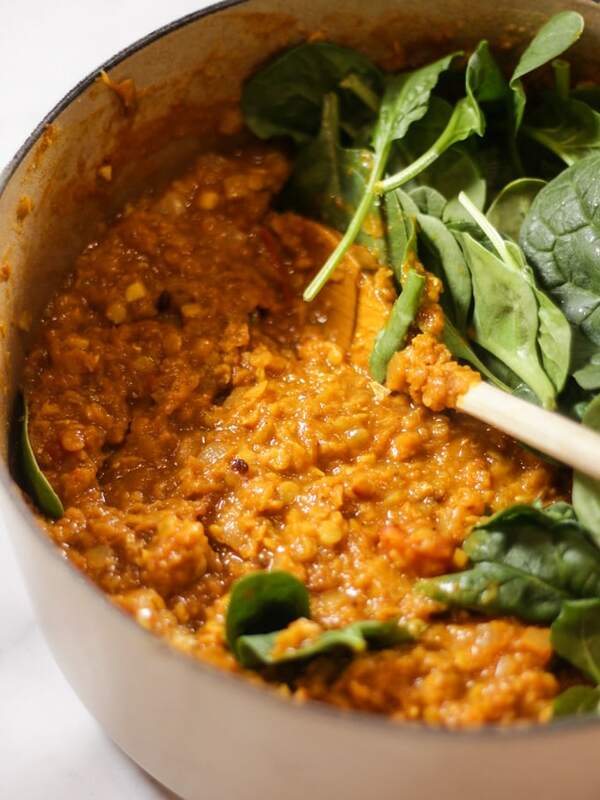 Dahl - with red lentils, butternut squash and spinach. 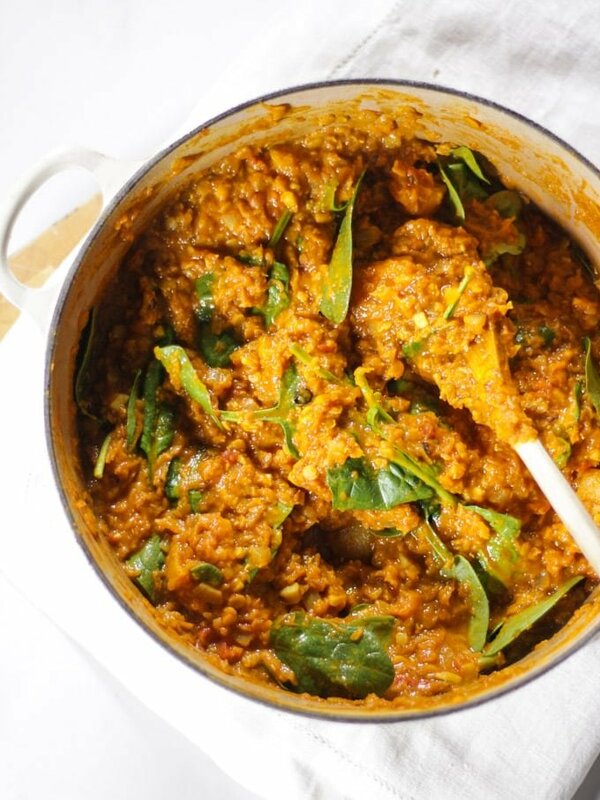 This easy, family friendly vegetarian Dahl recipe makes the perfect one pan midweek dinner. Cooked in around 40 minutes with red lentils, spinach and butternut squash it's delicious creamy texture makes it so comforting. It is a low cost dish, and can be batch cooked and frozen, perfect! Heat the oil in a large saucepan. 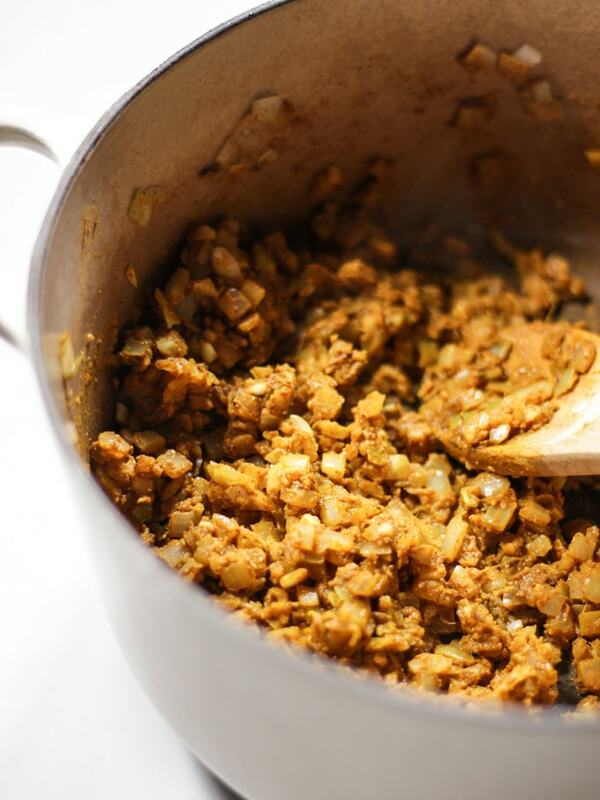 Add the onions, garlic, ginger, ground cumin and curry powder. Cook over a medium heat until the onions have softened and you can smell the curry powder cooking. 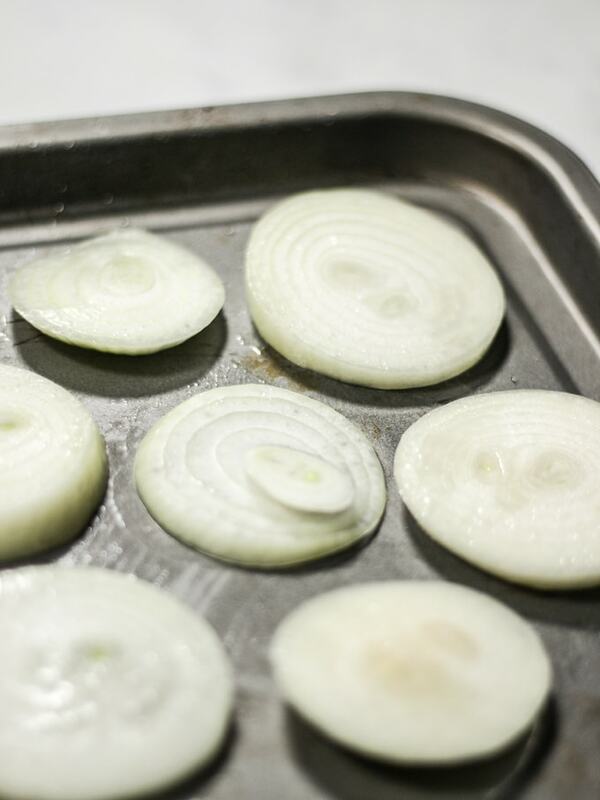 If you are serving roasted onion slices with your dahl, heat the oven to 200C and pop slices on a baking tray, coated in oil for about 20 minutes or until just blackening around the edges. Add the spinach just before serving to wilt. This recipe serves 6 people. If you are cooking for fewer people you can either reduce the recipe, or (my preference) make the same amount and use for further meals or freeze. Future dinners ready in the freezer - win! If I have any of the leftover roasted onion slices, I just stir them through the leftover dahl and freeze too. Cooked this dish for the first time and the whole family loved it. Super easy but super tasty!